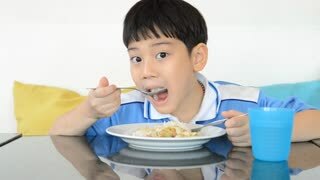 작은 아시아 소년 볶음밥 먹고. 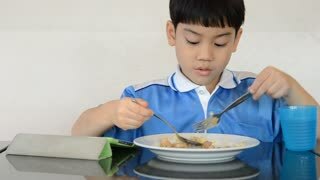 작은 아시아 아이는 튀긴 닭 식사를 즐긴다. 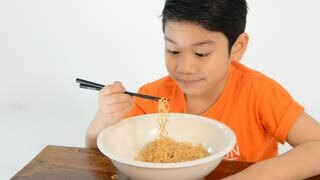 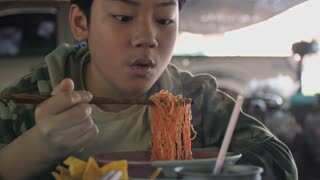 Slow motion of Young asian boy eating noodle by chopstick at restaurant.